There is nothing better than waking up to a cool house in the fall, wrapping up in a thick robe and making something warm for breakfast while the coffee is brewing. Lately, my friend Ashley and I have been making breakfast together once a week. This usually involves lots of coffee and carbs and our puppies at our feet. 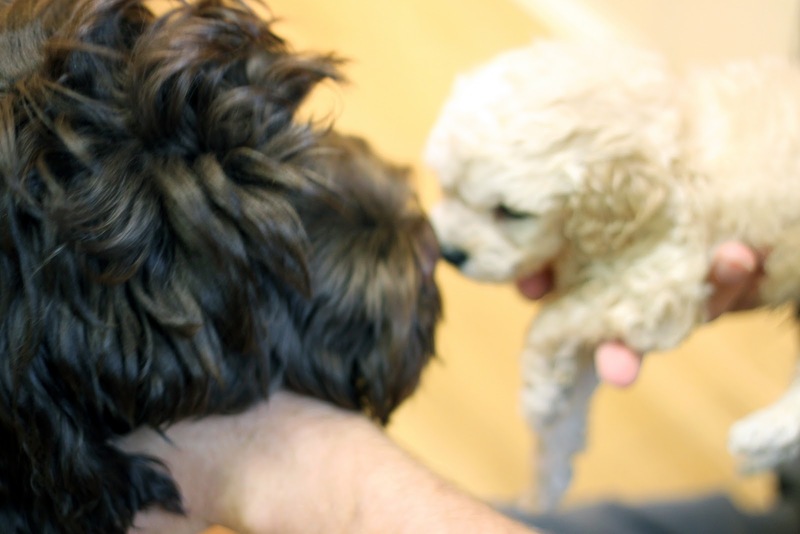 Here is a picture of the two boys first meeting. I mostly make oatmeal during the colder months and I’ll occasionally bake muffins, cook eggs, or create some delicious, warm treat. 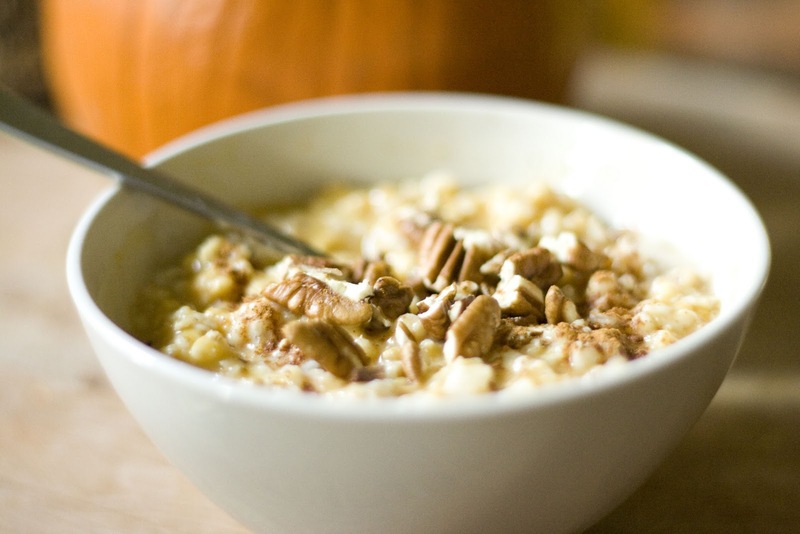 Here are a few of my favorite fall breakfasts to have at home. I love pumpkin oats. Great list here! "There is nothing better than waking up to a cool house in the fall, wrapping up in a thick robe and making something warm for breakfast while the coffee is brewing." AGREED!!! I love the fall when I wake up and my house is cold, but not freezing yet, and I put on my slippers and a sweatshirt, and my hot coffee is so delicious, and a hot breakfast is paradise! Love you!